At the invitation of the OSCE Academy in Bishkek, the head of the Asia Pacific-Pacific Region CACRC Board member of the Ukrainian Association of Sinologists Yuri Poyt took part in a security conference in Central Asia (Bishkek, Kyrgyzstan), one of the key events in the region's scientific and expert environment. The representative of the CDCAR presented a presentation on "China's Global Infrastructure Projects: a Challenge or Perspective. View from Ukraine ". 1992 - 2004 - dynamic development characterized by high political dialogue, a large number of signed documents in various spheres of cooperation (trade, economic, military-technical, scientific, educational and cultural). 2005 - 2010 Years - relaxation of relations. Ukraine's foreign policy was more oriented towards the EU and the US than to China and other Asian countries. Relationships existed, but they had a declarative character without significant achievements. During this time there was no dialogue at the highest state level. 2010 - 2014 - activation of relations. During this time a number of top-level visits were held, a number of contracts were signed (2010-2013 - signed 57 contracts). The status of relations was officially recognized as a strategic level. 2014 - 2018 - cold and gradual warming. After the Revolution of Attractiveness 2014, there was a cooling off of relations, both in the political and economic spheres. Trade between states has declined. However, after a meeting of leaders in the fields of international organizations, the situation began to improve somewhat. Ukraine is the third trading partner country for the PRC among post-Soviet countries (after Russia and Kazakhstan). China is ranked first among Ukraine's trade partners in the Asia-Pacific region. At the same time, analyzing the structure of trade, he noted that Ukraine exports more raw materials (corn, oil, ore) to 90%, but imports high-tech products. A very important aspect of the relationship is the military-technical cooperation between Ukraine and China, which can be divided into two directions: space (currently approximately 70 projects on the production of rocket and space technology) and arms trade. According to the Stockholm Institute for the Study of Peace in SIPRI, according to the results of the last five years, Ukraine has been among the top ten exporters of military equipment, with 20% coming to China ($ 485 million). At present, this cooperation includes many projects in the shipbuilding, aviation and other industries. 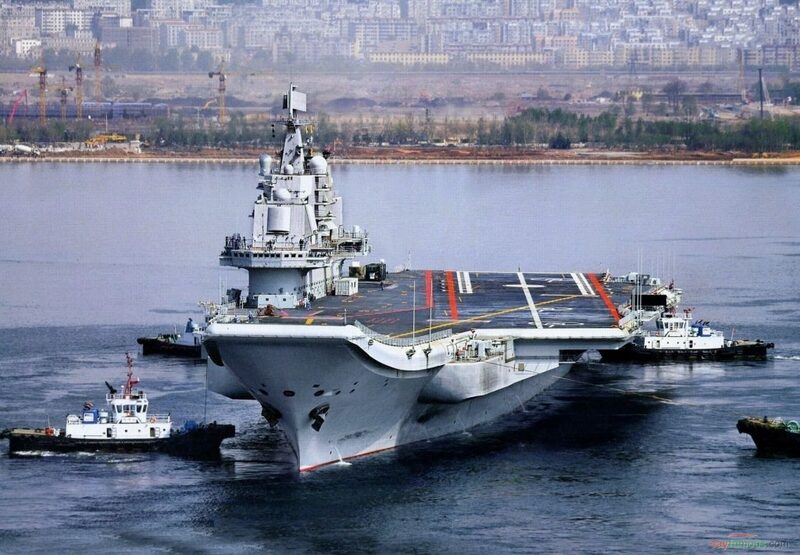 Among the examples of cooperation were the aircraft carrier "Liaoning" - built in Ukraine, and sold to China, L-15 training aircraft, with Ukrainian engines, landing ship "Bison", built in Ukraine and sold to China. Among the shortcomings in cooperation, he noted the negative trade balance, the raw material composition of Ukrainian exports and the small amount of Chinese investment in the Ukrainian economy. Military-technical cooperation and cooperation in the space industry (in view of China's large-scale military reform, which takes place with 2015 year). A positive marker, in the opinion of Go, was a statement by Vice Prime Minister Ma Kaya during the Ukrainian-Chinese intergovernmental commission in 2017 on the readiness of China to invest $ 7 billion in the economy of Ukraine and sign a roadmap for cooperation. Among the promising areas of cooperation is the construction and modernization of seaports, highways and bridges, and underground lines in Kyiv. Poita explained that in the field of sea ports, Ukraine already has a positive experience of cooperation with Chinese companies. During the 2016 - 2018, the Chinese company China Harbor Engineering Company has carried out work on the deepening of the Ukrainian ports in the Black Sea for a sum of 60 million dollars, and the construction of a grain terminal in the port for the amount of 150 million dollars is planned. This will expand the possibility of Ukrainian ports for transit. goods and for own export, which will have a positive impact on the Ukrainian economy. Speaking about the metro project, this is one of the largest projects valued at $ 2 billion. 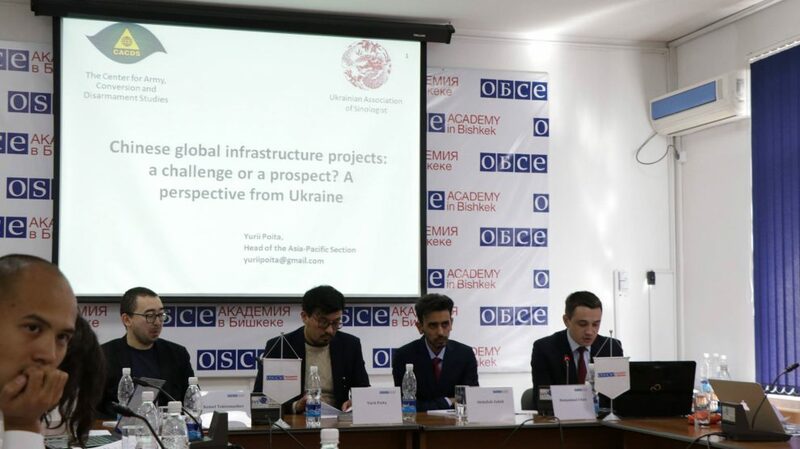 As Potia concluded, China's global infrastructure projects, despite some reservations, have no challenges for Ukraine, since the share of Chinese capital in the Ukrainian economy is very small. Therefore, Ukraine does not have a critical dependence on China on Chinese loans and technologies. A positive aspect in Ukraine was the introduction of the ProZorro Procurement Procurement system, which makes access of foreign companies (including Chinese ones) to contracts in Ukraine under market conditions. And infrastructure projects with the participation of China bring benefits for the Ukrainian economy, which has stabilized since the 2014 and shows positive dynamics. At the same time, Ukraine is interested in deepening cooperation with China not only in the issue of increasing trade turnover, namely in the creation of joint projects: enterprises, companies, for the production of goods with high added value. Bosko Yakshich: "Russia is perceived in Serbia as a" sacred defender "and receives everything for it"